A few weeks ago I shared with you my daughters 4 year old Rainbow Birthday Party. 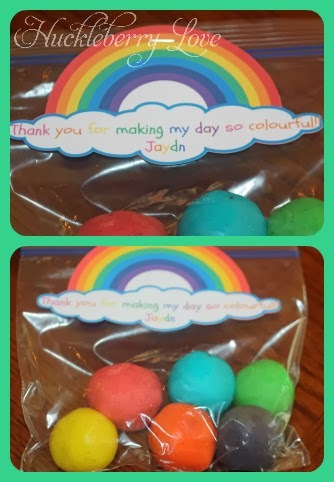 Because her party was rainbow themed I thought the perfect party favours would be some balls of sparkly playdough in a bunch of rainbow colours! She was very excited about the idea and was even more thrilled when she realized how much she would be able to participate in the making of it. 1. In a large pot, whisk together the flour, salt and cream of tartar. Then add your water and oil. 2. 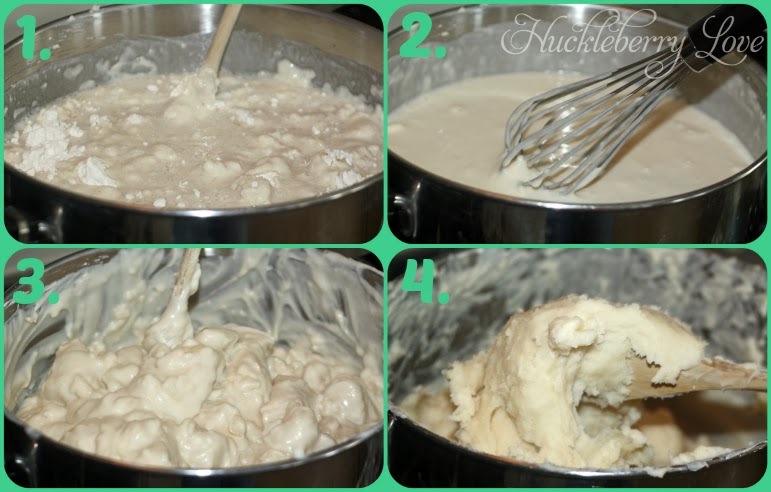 Keep whisking everything until your mixture is smooth and fairly lump free. If there are a few odd lumps, don't fret, they will disappear as your mixture begins to cook. 4. Your mixture will eventually become quite thick and will look like very soft dough. You can now remove your pot from the heat. Stir the dough a bit more once it's removed from the heat and you will notice that there are no more lumps remaining. Wahoo! Next scoop your dough out of the pot and onto a cutting mat or placemat. The dough will be quite warm, but you should still be able to handle it. Start to knead your dough. It's actually really nice to play with at this point because it is so warm and soft. The oil in the dough also prevents it from sticking to your hands. Because I wanted to make multiple colours of dough, I seperated my dough into 6 evenly sized balls. Once they were seperated, it was time to colour them. 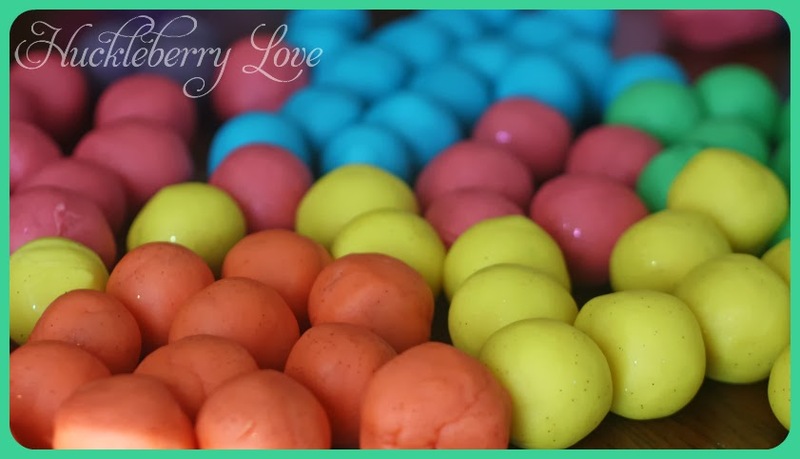 I just flattened out each ball and put in a bit of gel food colouring. Then I just kneaded the dough a bit more until the colour was fully dispersed throughout each ball of dough. I was really impressed with how efficiently the colour mixed into the dough. 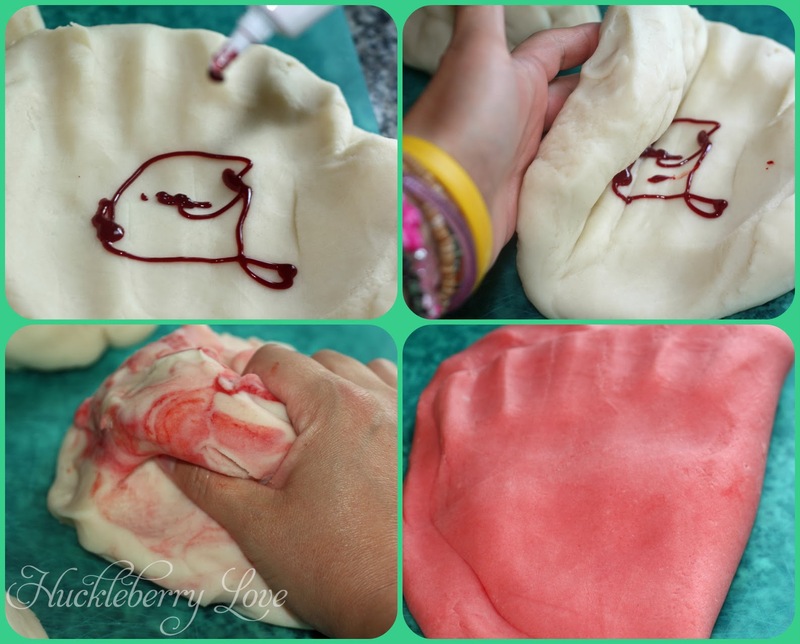 The more I kneaded the more food colouring came off of my hand and ended up in the dough. 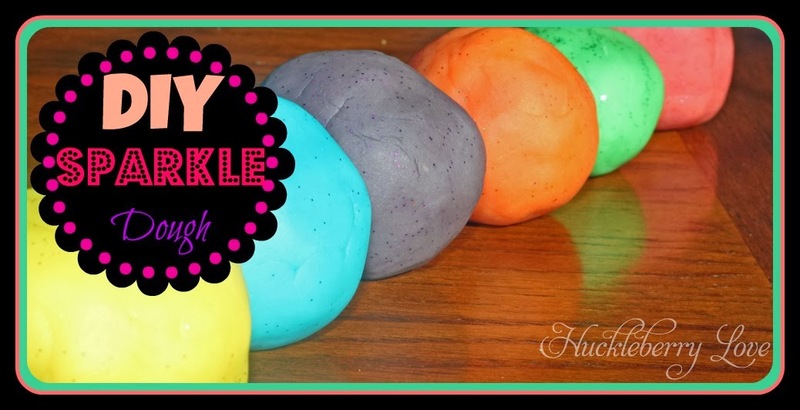 To make your dough sparkly all you have to do is add glitter. I happened to have bought a pack of different coloured glitters at Michael's a while ago with no real project in mind for them. They worked perfectly for this project however, because I had a different glitter to match each colour of dough. 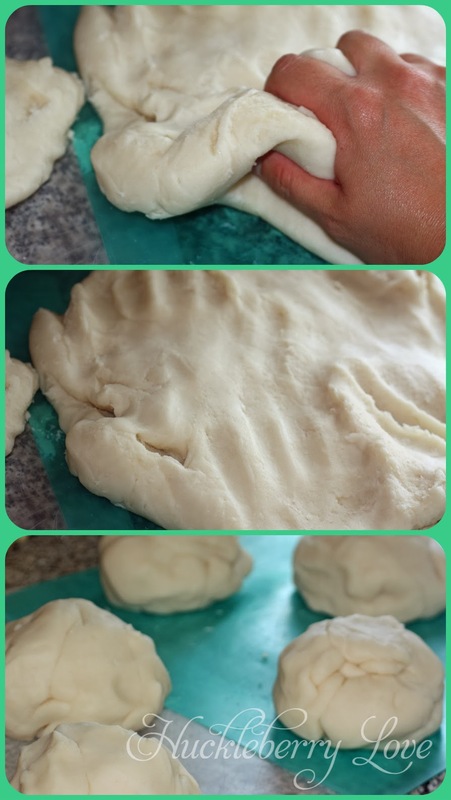 To each ball of dough I added about a tsp. of coloured glitter. If you've chosen to create favour bags as well, then here are the next few things I did. First I figured out how many kids I needed to make favour bags for and then seperated the big ball of dough into smaller pieces. They weren't perfectly even, but whose paying that close of attention. ;) Then once I had all the pieces of dough I needed, I rolled each piece into little balls. This is where Jaydn came in very helpful as that was a lot of little balls to roll!! 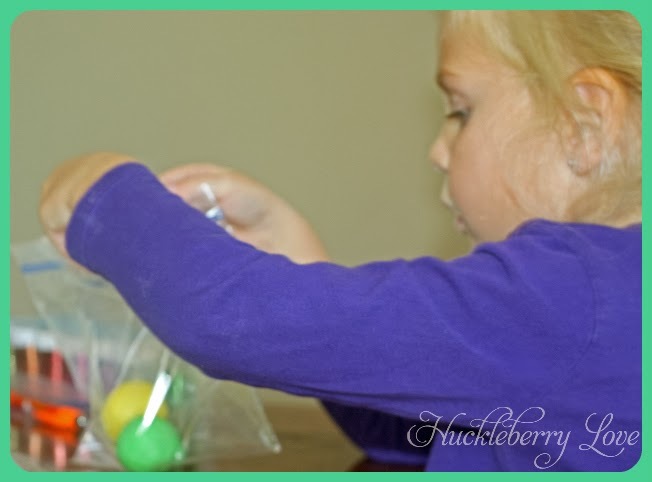 Once we had all of our little balls rolled out, we stuffed little sandwich sized zip bags with ball of each colour into them. 1. 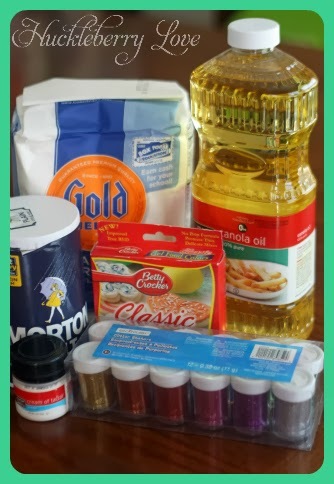 Stir all ingredients together in a large pot. 2. Cook at medium heat while stirring continuously, until mixture thickens into a dough. 3. 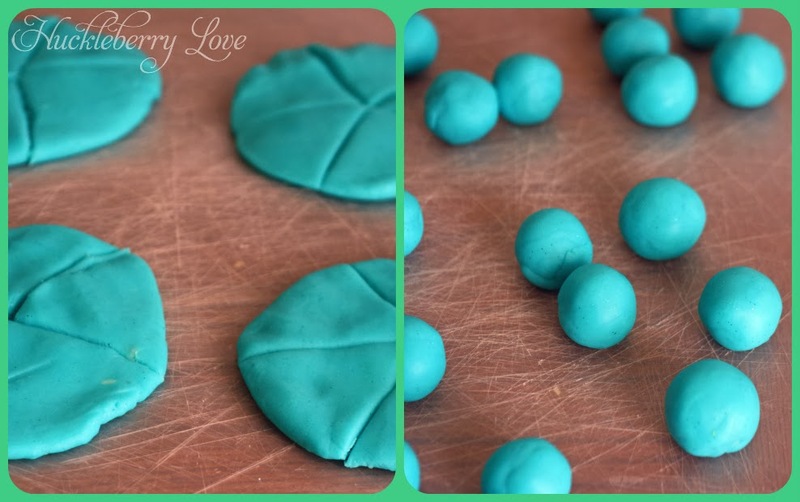 Remove dough from heat and place onto a cutting mat. 4. Knead dough until desired consistency. 5. 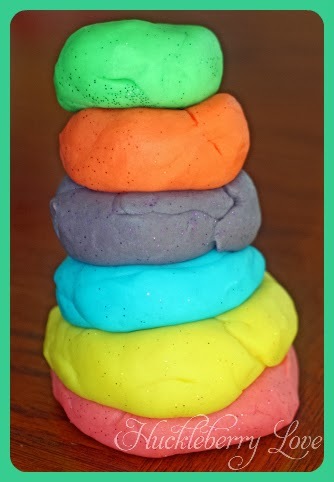 Separate dough and add food colouring and coloured glitter as desired. 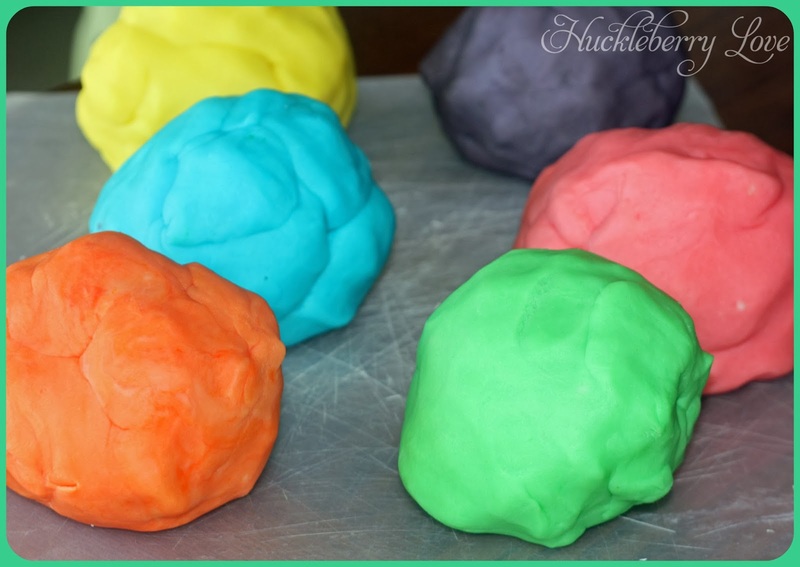 Have you ever made homemade play dough? 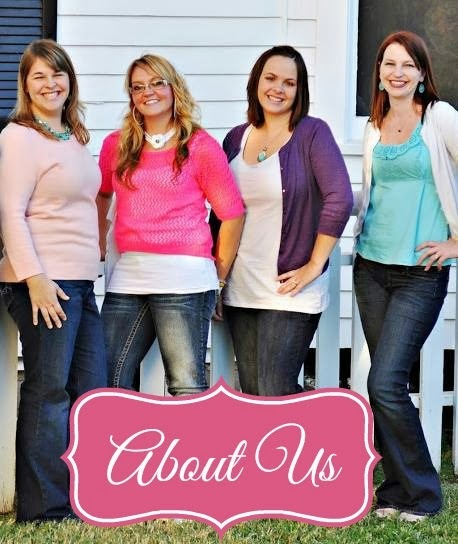 What other fun projects do you like to do with your kiddos?